Do you ever have those moments? You know, the ones when everything goes quiet? Suddenly your mind becomes still, free of the usual noise, and you can hear everything again? Powerful mindfulness techniques abound. Tips to help you slow down and savor the present moment in all it’s rich and pulsing vibrancy. But one stands out for me, heads and shoulders above the rest. Whenever I need to stop or expand beyond my own limited frame of mind, this is my go-to. I call it the soundscape meditation, and it’s a mindfulness technique you can put into practice instantly, at any moment and in any circumstance. It’s easy enough to do. But first, I want to tell you how I discovered this amazing practice. One night in college, sitting on my front stoop in the fading Georgia twilight, I heard a sound. It was faint, like a sound beneath all the other sounds. It had a magnetic quality, almost like it was calling to me. This wasn’t a sound I could hear with my ears alone. I had to listen with my whole being. And when I did, I became absorbed in that near-silent sound. It calmed my anxious adolescent soul, filling me with a sense of peace and contentment. This was amazing to me. It was like discovering a secret hidden in plain sight. And to my materialistic self at the time, it seemed like a miracle. I could tune into this phenomenon anytime if I just paid attention with all of my being. Many years later, on extended meditation retreats, I began exploring this experience more deeply. I started to pay attention to the effects of sound when I was in deep states of silent meditation. I could hear a bird song in the distance, or clanging bells on a goat grazing at dusk, and these sounds carried me beyond myself. I was transported into a vast and open space. And more than that, the experience of these sounds was delightful, promising, and deeply fulfilling all at once. Like a perfect song that plays at just the right moment and moves you deep inside. I found that while meditating, it was hard to tell if the sounds I heard were within me or outside of me. This makes sense to me now. Meditation is all about letting go and in this letting go process, a barrier drops between you and everything else. You become more permeable to life. While sitting in silence and stillness, I noticed how my attention seemed to travel outward and inward simultaneously. The whole Cosmos would feel close, as if there was no distance, only a deep sense of union. 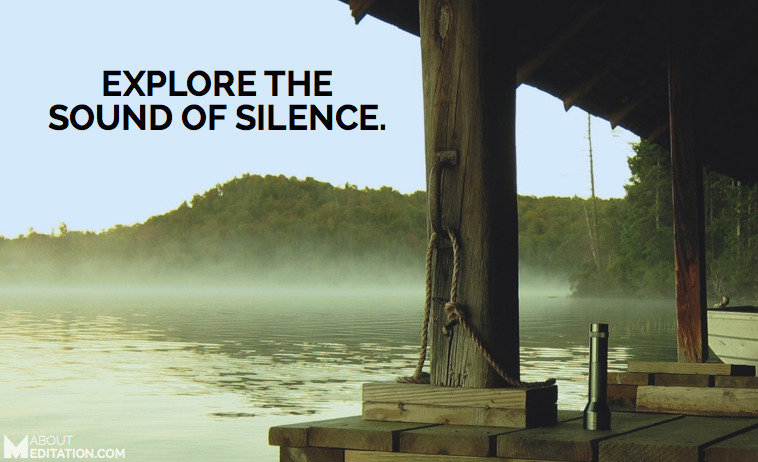 Silence, in this context, is a place of awe and wonder. It is also synonymous with meditation. For me, these experiences pointed to something important and revealed the awesome simplicity of mindfulness. Next time you are sitting on a park bench or in your home with your windows open, put all of your attention on listening. What do you hear? Notice how your attention expands to include more and more. This is the essence of soundscape meditation. You may think you are just listening to your environment, but there is more going on. When you pay attention and really listen, whether you realize it or not, you are letting go of your mind. As you do this, you’ll start to notice something interesting about the nature of awareness. Like water bursting from a dam, the act of consciously listening releases our attention from our minds, and it flows outward. This is one of the natural properties of awareness—it expands when we release it from the confines of thought. Try this for yourself and you’ll see how true it is. In terms of mindfulness techniques, this is one that you can practice anywhere and anytime. When you get the hang of it, you’ll be amazed at what you start to hear. Often, there is a lot happening all around us that we simply miss because so much of our attention is locked up in the mind. And more than that, you’ll find that there is a sense of calm grounding that washes over you when you allow your attention to expand. Whenever I practice this technique, I feel more aligned with the current of life and my own authentic sense of self. Here’s another dimension of this approach to mindfulness. When you try it, think in terms of concentric circles. First, allow your attention to include everything you hear in your immediate environment. Stay soft and relaxed without tension when you do this. Don’t focus your attention on any particular sound. Instead, let all the sounds in your immediate field of attention come and go. 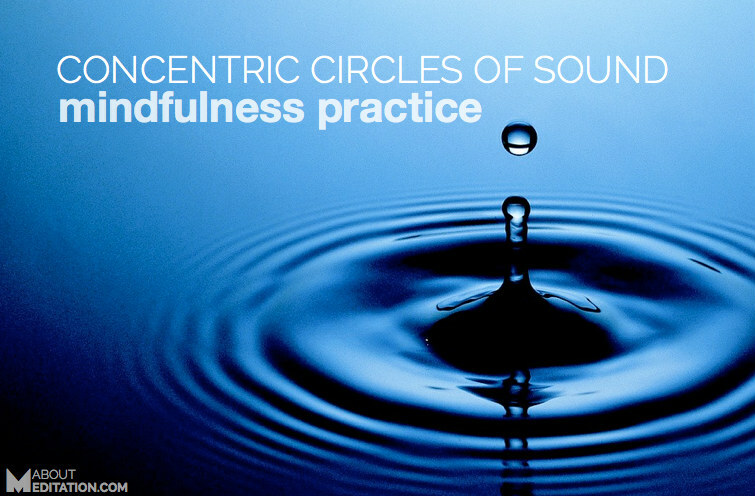 Then, let your awareness expand to include a wider circle of sounds. Perhaps all the sounds in your home and immediately outside your windows. And then again, let your awareness expand to include distant sounds. Like a long-distance radar, you’ll find that the range of your soundscape keeps expanding. Your capacity to include more and more of your environment keeps increasing. Where do I end and where do the sounds begin? What’s really happening when I listen like this? Are the sounds I’m hearing really outside of me if I’m hearing them within my awareness? Notice how the sounds feel in your gut. You may notice a warm and pleasing resonance within. I love to let go into this practice. For me, it’s a mode of instant communion with the heart and pulse of life. 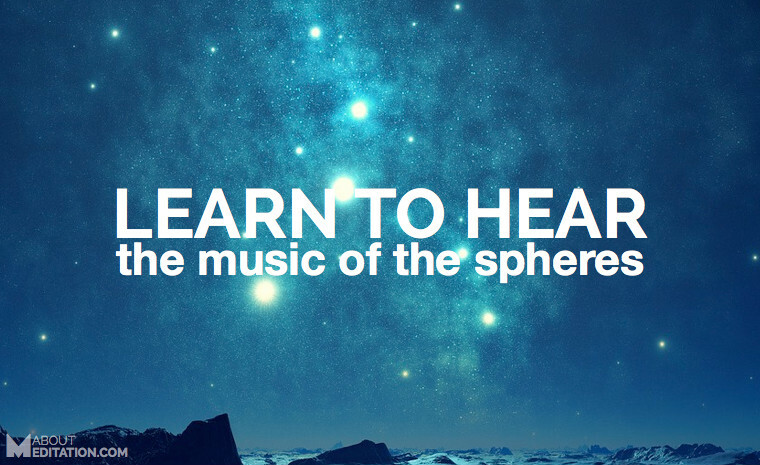 Sometimes, it makes me think of this old idea about the music of the spheres. In ancient Greece, the Pythagorean mystery schools along with classical schools of esoteric Christianity had this concept called the music of the spheres. The Pythagoreans held that when all the planets were aligned, the universe produced a tone of perfect harmony. And the esoteric Christians referred to it as a state of consciousness correlated with a heavenly realm. But I wonder, were they referring to the sound of silence we experience in these expanded states of awareness? I’m not sure. But I do know that among mindfulness techniques, this is something anyone can do at any time. It’s a simple and oft-overlooked practice that can tune you into the essence of meditation and help you be more awake to the world you’re already living in. It may be simple, but you’ll be surprised how far and how deep you can go. Oh, and one more thing. Next time you’re listening with everything you’ve got, you might just notice the same thing that captured my attention all those years ago. That sound beneath all the other sounds. If you do, let go and follow it. You won’t be disappointed. 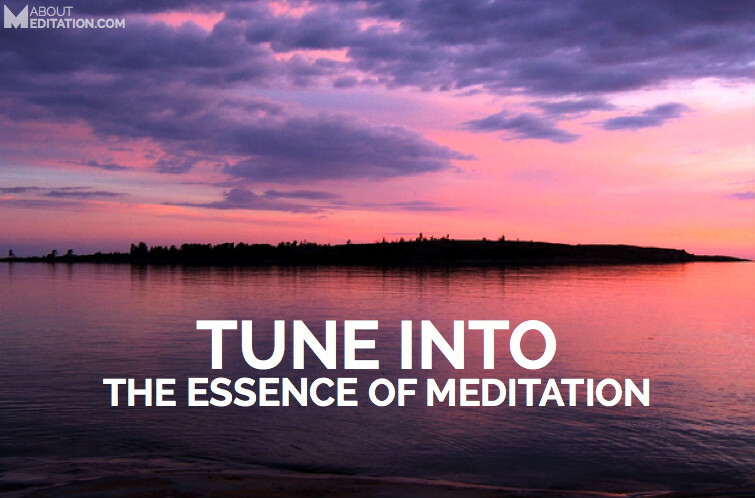 The post How to Practice the Soundscape Meditation Technique appeared first on About Meditation.